Motivate those who are unmotivated by tapping into the part of each of us that wants to be the best we can be. Then, tap into it some more. Find It! "Effective coaching is much, much more than writing/prescribing workouts and exercise plans with numbers attached to them." Using cutting edge science, technology, and state of the art research and equipment as a platform to build outstanding performance we, at TRI-ACTIVE ENDURANCE, firmly believe that performance potential is about personal attention to each and every athlete we serve. It includes listening to you and understanding what your goals are and working with you to make a plan that is achievable and challenging that will afford you the opportunity to meet and exceed your goals. We understand that progress is rarely linear and we are with you to assess, teach, mentor, monitor progress, assess some more, and seek and insist on your feedback and input to help make any necessary adjustments along the way. Helping you to "Reach Your Peak!" In order for change to be effective and sustainable, it must make sense to you, as an individual. TRI-ACTIVE ENDURANCE seeks to motivate you by allowing you to experience the benefits of pushing your limits and believing in yourself allowing the change process to become the reward. I often chuckle at the look on an athlete's face when I tell them, "I want to become intimate with your body." Of course, the context is that of a professional who needs to understand the intricacies of how one's body responds under different loads, bouts of intensity and duration of a variety of exercises. Every coach should strive for this level of understanding with their athletes. In fact, at Tri-Active Endurance, I insist on it. It is this understanding that allows me to get the most out of my athletes, both mentally and physically. Make no mistake: mental endurance is every bit as important (if not more so) than physical endurance. Further, from mental endurance comes emotional strength which also helps build physical strength and endurance. This is the formula for a well rounded athlete. This is the make up of Tri-Active Endurance Athletes. TRI-ACTIVE is born from many years of an escalating passion for fitness, wellness and a holistic approach to mental/emotional, physical, and spiritual wellness. The Tri-Active Endurance community is made up of athletes of all levels. Beginners, elites, and many in between from various backgrounds and disciplines. The only requirement for our services is a desire to be/feel just a little bit better tomorrow than you did today. Our coaches are here to see that you not only meet your goals, but succeed them. Rob's background and education as a psychologist allow him to help athletes reach their true potential through a profound ability to dig deep within and help them discover their true potential. This is where our tag lines, "Reach Your Peak" and "Find it" come from. Rob also has a rich racing history as an age group triathlete and marathoner. He lives with his wife, Christena and their two Old English Sheep Dogs, London and Zeppelin. Jeannine's background in Kinisiology as a Personal Trainer specializing in corrective exercise and a soft tissue magician make her a perfect fit for Tri-Active Endurance. Her knowledge of the human body and it's optimal, functional movement patterns are surpassed only by her outstanding record as an elite age group triathlete. 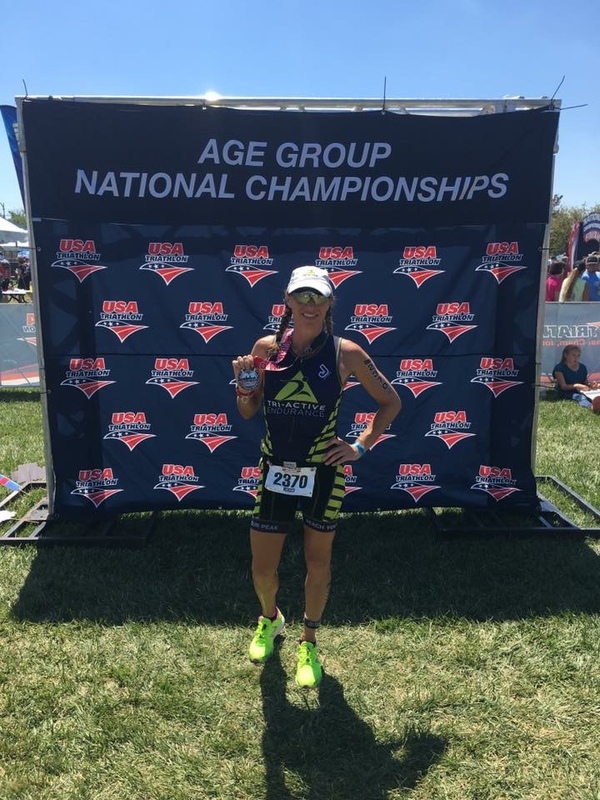 With multiple podium finished to her credit, Jeannine is a primary example of the dedication and hard work that goes into her successes as an athlete which she also brings to every Tri-Active Endurance athlete. David possess a skill set unlike most other coaches. His vast knowledge of programming and structuring workouts for his athletes is surpassed only by his ability to connect with and motivate the athletes he works with. We can always count on David to deliver the right dose at the right time to bring out the best in our athletes. 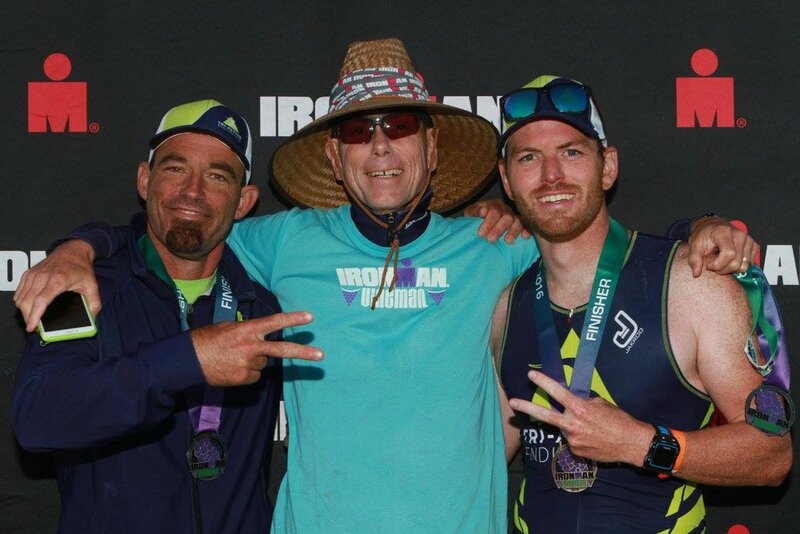 David's history as a triathlete includes Ironman All World Athlete and is consistently a top 20% every time he races (in one of the tough age groups) long course. Tanya Parmley is an AFAA Certified Group Fitness Instructor and has been in the Fitness industry for about 25 years. Over the years she has obtained several other certifications and continues to obtain ongoing education in the fitness industry to remain current. She has worked with individuals of all levels and focuses on connecting with her clients in a way that will deliver the desired results. Tanya has spent years focusing not only on her clients but also herself, becoming a triathlete later in life by learning to swim and venturing into the triathlon world in her 40s. Her primary focus is on helping people increase their athletic performance through Functional Fitness and by using the TRX. By doing so, the client can maximize mobility while also increasing strength and endurance. Tanya is hands on, focusing on posture and form. Without these two fundamental components a client can set themselves up for injury and thus have setbacks. Her major passion is doing her very best to educate clients so that they can move forward in their lives to be the best version of themselves every day. Most important, she wants her clients to have fun while moving. Whether a new "athlete" or a lifelong athlete, at Tri-Active Endurance we believe in building complete athletes. The incorporation of enhancing motivation, consultation, and a comprehensive plan that fits into your existing lifestyle that places demands on your limited time are all key elements for success. We understand that time is a luxury many don't have. We believe in maximizing every opportunity and getting the most of every training and workout session, so you can meet your goals and not have to sacrifice other important areas of your life. This is where our mantra was born: Reaching deep within to find your true potential. Group rates are available for companies and large groups. We offer team building, goal assessment, group exercise and fitness planning. Our forte. Focus on endurance racing and training and services. Focusing on benefits of exercise (science/research based) to those in he recovery process, weather a returning veteran, one who suffers from depression/anxiety, grief/loss, etc , contact us about specialized Tri-Active Recovery programming. Camp Information: Camp will be held April 12, 13, 14, 2019 in Boulder, CO.
Friday-Swim Day at Colorado University’s indoor flume hosted by no other than World renowned swim guru, Eney Jones. Eney holds more open water and NCAA swim records than we can name. Her approach is friendly, and takes into account the whole athlete-how you move, soma type, limitations, etc. Recognizing the need for a “swim friendly” approach, her love for the water has transformed her as the premier swim coach to some of the best triathletes in the world. Athletes will get In depth multi angle video analysis, individual stroke breakdown, education, and fixes to maximize swim economy. Athletes will also engage in Lactate threshold testing-bike and dissemination of all results to help set training zones. Additional lab testing including full physiology testing for each test which includes VO2 analysis and substrate utilization as well as musclesound fuel status and body comp. Saturday-Strength & Conditioning at Rally Sport with owner and strength coach to the best triathletes in the world, Erin Carson of ECFit. This will be a comprehensive session focusing on fine tuning movement, the craft of foundation training, injury prevention, and strength training/programming specifically for triathletes. erin is simply the best. Sunday-Bike: Starting in the morning athletes will be welcomed into one of the most sought after fit studios in the world for a bike session with no other than Ivan O’gorman at IOG Studios in Niwot, CO. Ivan O'Gorman offers bike fit services and cycling performance consulting for athletes locally and globally. Through his work with several WorldTour professional cycling teams, Pro Continental teams, USA Triathlon, Olympic triathletes and professional long-distance triathletes, Ivan has developed a vast knowledge of how to leverage bike fit and equipment to help athletes reach their highest potential. Ivan has been a Retül Certified Fitter since 2010. He has also been an instructor with the Retül University bike fit education program since 2011. As a five-time IRONMAN World Championship finisher - taking 8th (men 35-39) in 2015 - Ivan has significant first-hand knowledge of the many factors endurance athletes must consider to maximize results. His ability to guide others in preparing for the most challenging events in the world has helped competitors of all levels reach and exceed their goals. Sunday-Run: Sunday afternoon will find athletes transforming their run with world renowned, Team USA Olympic Coach, Bobby McGee. Bobby holds one of the highest pedigrees on the planet when it comes to his approach to running. Bobby has worked the best triathlon runners in the world and has transformed running from world champions to everyday age groupers alike. Tri-Active Endurance invites you to join us for a weekend of triathlon performance and education as taught by some of the best coaches in the world. Space is limited to 8 athletes, and is expected to fill up fast, so contact us at rob@triactiveendurance.com or call 925-588-9219 to apply for your spot today.